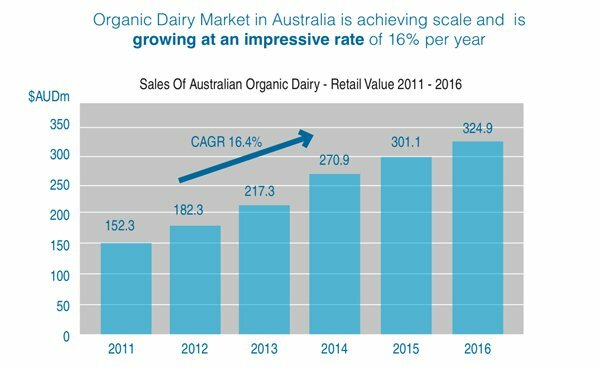 Small-cap dairy producer, Australian Dairy Farms (ASX:AHF), has today announced plans to convert its six high-quality Victorian dairy farms to organic production, and invest in associated operational changes, as part of an overall objective towards production of organic infant formula. 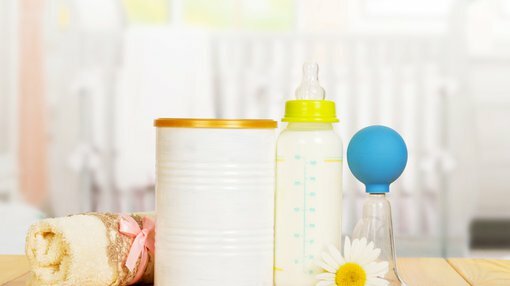 The company intends for the move to re-position it, from a minor participant in the conventional milk market, to a supplier of organic infant formula made with Australian milk. AHF’s core assets are its six farms, located in what’s known as Victoria’s golden triangle of dairy production in the state’s south-west. The properties consist of 3600 acres populated by 3500 free-range milking cattle — collectively producing 17 million litres of milk a year. Beyond its farms, AHF also owns the Camperdown Dairy Company (CDC), a milk processing facility. CDC is capable of producing specialist milks such as organic, Jersey and free range. The range of products produced includes bottled milks, butter, cream and yoghurts, sold under ‘own brand’ labels. CDC is also a contract packer for other suppliers. CEO Mr Peter Skene commented positively on today’s news. “This is a high value-added market with major barriers to entry and sparse competition. The initiatives are a first significant step in making the company a major player in producing and distributing organic premium-quality branded food products. “While a vertically integrated and efficient producer currently, the company has a modest market share in the conventional milk market. The board believes the company’s best prospects lie with moving up the value chain to be a highly profitable manufacturer of these speciality products,” he said. The plan began to be developed by AHF approximately 18 months ago, with the company’s five-year plan including a comprehensive feasibility assessment. Now AHF’s plans are very much focussed on being an organic infant formula producer and brand owner, stipulating new specialised production facilities on land owned already by the company. Within AHF’s pipeline are considerations for a UHT (long life) milk facility for domestic and export markets, and new best practice wet-blend milk powder drying plant for organic infant formula from Australian organic milk. The company will progress these facilities towards a flexible and short-run capacity for specialist milks, as opposed to than high-volume commodity milk processing. An emphasis of the plan moving forward will be to consider opportunities for AHF’s farms already in the process of applying for organic certification. In addition to converting the farms to organic production, the company has commenced formal preliminary planning of a new wet-blending spray drying plant as well as a pharmaceutical-grade tinning and labelling facility for the infant formula. These plans are viable in part due to the 10 acres of commercial and industrial zoned land in Camperdown which AHF purchased at the end of 2017. The company also plan to investigate potential Joint Venture partners at the new facilities.